Busy news day! This afternoon's red post collection features a look at the Singed champion update coming in patch 4.19, a developer blog on Diversifying Objectives in Preseason 2015, and a heads up that the team will be hosting a preseason Q&A on November 5th! 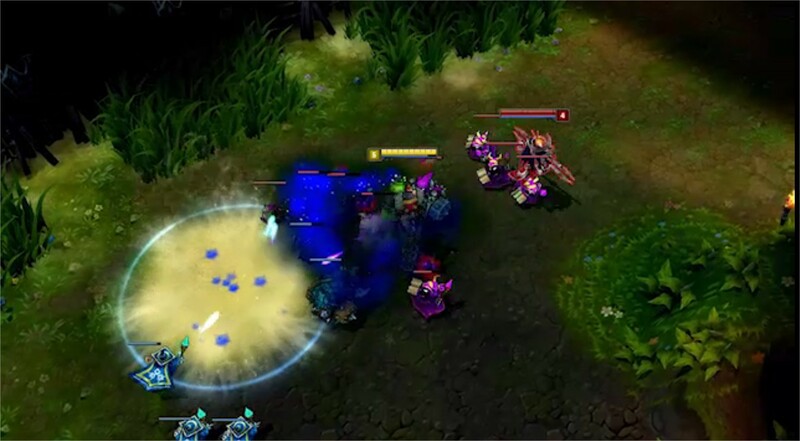 Kalista, The Spear of Vengeance, Revealed! If you've been keeping up with the PBE or just spied the mention in the most recent patch notes, Singed has received a champion update in patch 4.19! "We’ve got a few relatively smaller champion updates coming out in the wake of Sion’s grand arrival. 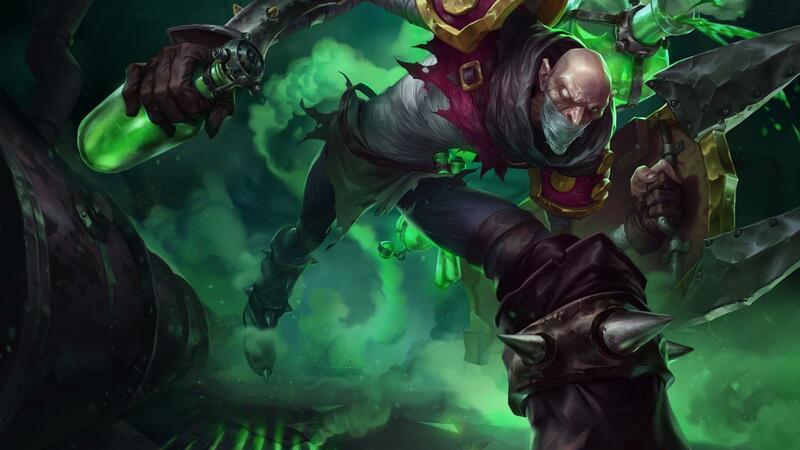 First up is Singed, who’s come tearing out of the Champion Update workshop with a new model, updated textures for all of his skins, and a few small gameplay tweaks. Singed was an interesting project for us. While many older champions have to be rebuilt visually from the ground up, we discovered that Singed’s rig was actually still in good shape. He had unique and identifiable animations underneath his old pizza-feet-tastic model, meaning we could score a pretty easy win simply by updating his model and textures to today’s standards. So we did, and while we had the Mad Chemist’s hood open, took the opportunity to tune up his gameplay, too. We haven’t made any significant changes, but added some quality of life tweaks in that incentivize Singed players to combo their abilities together and give a tad more late-game scaling to his ultimate. That’s it for now! We’re looking forward to sharing more Champion Update news with you soon!" 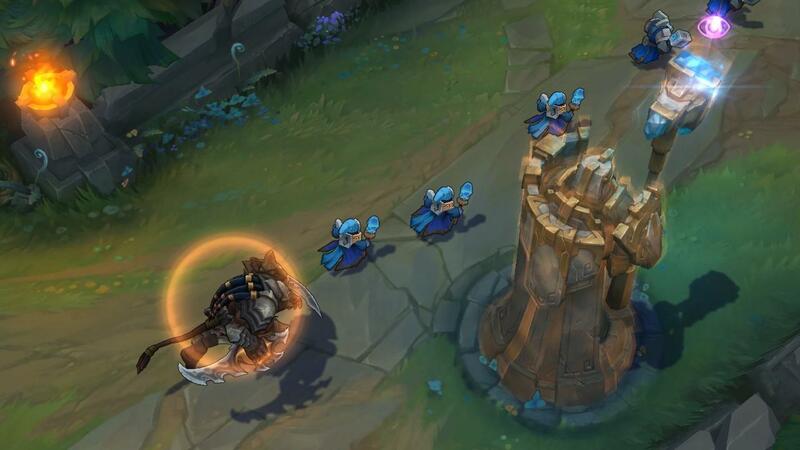 Riot Ypherion is back with another preseason 2015 dev blog, this time touching on the tentative preseason changes aimed at diversifying objectives such as towers, dragon, and baron! "Welcome back! As mentioned in the overview, changes to objectives like turrets, Baron Nashor and Dragon are a large component of the 2015 preseason. Here we’ll be breaking down some of the changes and the opportunities we’re trying to hit. Philosophically, our big goal this season is to encourage more strategic diversity in League of Legends. And what’s that mean? Well, this touches a lot of different areas but it all boils down to making your high level decisions matter (versus tactical decisions like last-hitting, fight mechanics, etc). What champions can I bring? Where do I go on the map? How do I respond when the enemy team takes an objective? What can I do now that we’ve secured dragon? These things currently do matter, but we feel there’s room for improvement. Objectives are already among the most strategic elements of League. Players have heated debates on what Baron is worth in terms of towers and inhibitors, or whether Dragon is worth trading for top outer turret. How about mid outer? What value do I get for taking mid inner vs. top inner? With the focus we’re taking on strategic diversity, we saw a number of opportunities to better leverage the objectives that already exist to make the decisions around them more interesting and meaningful. So without further ado, into the fray! Outer turrets: We wanted to leave at least one set of turrets alone so we could have a ‘basic’ template for players to work off of, and felt the outer turrets were best for this. These will remain unchanged except for the stat tuning mentioned below. Inner turrets: Taking an inner turret usually requires: a) precise movement (rotations! ), b) strategically risky tower dives to push down, or c) a poke-heavy comp that whittles down the opposition before trapping them in from all angles. In the case of situations a and b, there are clear strategic counters available to all teams, but situation c is heavily focused on team compositions with little to no recourse once the match actually starts. For these turrets, we’ve added a regenerating shield that is automatically shared with nearby friendly champions, which makes it a little easier to withstand poke compositions (without completely invalidating them) while continuing to reward teams who play smart. Inhibitor turrets: Losing an inhibitor turret puts an immense amount of pressure on the defending team - so much so that there have been many games lost where an enemy team has poured all of their efforts into a single split-pushing champion constantly threatening / grinding down a single turret. While we do feel this is a fair strategy when executed correctly (both for the split pusher and his team), there comes a time if the opposing team doesn’t have an equally powerful duelist, there’s simply no stopping the split pusher from wrecking their opposition under the tower and then eating through the lane. We’ve now added a new weapon to inhibitor turrets: a powerful energy beam that deals damage, slows the target, and reduces their damage output. When focused on the same target, the beam ramps up in its damage very quickly, making that minion-bloated split pusher think twice about diving against a reasonably strong opponent under the tower. There will still be many opportunities for split pushers to take advantage of their strengths, but there will be more ways for a team to defend against them rather than just picking a stronger duelist. We want to call out that we’re not trying to destroy split pushing with the new inhibitor turrets. On the contrary, by making sure that we have good tuning levers (the damage, slow, damage shred and ramp speed can all be tuned to anywhere from useless to ridiculously overpowered on a smooth gradient) we can offer more counterplay against champions that are strong at split pushing, all while still keeping the game healthy. If split pushing becomes dominant as a strategy we can look to the inhibitor turrets as an alternative place to make changes rather than hitting champions. This doesn’t mean that we will never nerf split pushers again (NOPE! NOT PROMISING THAT! ), but we at least have more options. Nexus turrets: These are currently unchanged but are already unique by the fact that they are paired. We may look into more changes here in the future though. All turrets: It’s worth noting that all towers have had their defensive stats changed slightly. However, this is mostly to help clarify how much damage a player will do to them and doesn’t affect their overall durability too much. These changes all tie into the “generalized defense” concept we mentioned in the first preseason Dev Blog. We want to let split push or heavy dive comps be strong, but we also want to make sure that champion select isn’t even more impactful than it already is. To make sure we can achieve both we’re adding release valves to these strategies that are available to all teams, no matter their comp. Dragon and turrets have always had very similar rewards -- gold. Often teams will trade these objectives and end up in roughly the same spot they were in prior. Additionally, when there is a large difference between comps that can take the Dragon quickly versus team comps that can take down towers quickly, most teams orient themselves around which is the most efficient reward for their time. By differentiating these rewards when a trade occurs, both teams can end up with different strengths and options as to how they progress the game from that point on. For example, a team that’s taken multiple turrets might have a more open map to pressure their opponents, but a team that has a lead in Dragon kills might pose a much larger threat as they get closer and closer to their 4th / 5th stack. These create interesting strategic tradeoffs between both teams as they balance their rewards, rather than simply distributing gold at various points in time. Specifically we’re removing most of the gold reward from the Dragon (last-hitting it is still worth a game-changing 25g), and instead adding a permanent stacking buff on kill. Each stack grants an aspect of the Dragon’s power, perhaps his piercing claws, durable scales or powerful flame. Upon collecting all aspects of the Dragon, champions become immensely more powerful for a short time, and then subsequent Dragon kills reactivate the power. Each team’s stacks are totally independent, so Blue could have 2 stacks and Red 4 stacks; there’s no resetting or interrupting. These buffs are specifically tuned in power to make trading Dragon more interesting, especially early. The early stacks are not as immediately valuable as the raw gold from other options on the map (for example, a turret), but without an early investment, the later power of Dragon is totally unavailable. Aspect of the Dragon: Triples all other bonuses and your attacks burn enemies for a high amount of true damage over 5 seconds. Lasts 180 sec. Our goal here is to make one or two stacks provide modest (but not game-changing) rewards, three stacks should provide a substantial reward, with a full investment to five stacks presenting a serious threat to ending the game. The full Aspect of the Dragon is a huge power spike, but given the rarity of it (currently would happen in ~2% of games) and the investment required, we want it to be extremely powerful. By contrast, three stacks (by current behavior) should happen more than ten times as often, and so is a more tempered reward. These new Dragon rewards add much deeper decisions when different team strategies clash. If a team is pushing hard for a fast win, investing in Dragon fights is unlikely to be an optimal use of resources. However, a team looking for an end-game deathball would be well advised to start stacking Aspect of the Dragon as early as possible. When these two strategies are pitted against each other, the end-game threat of the deathball team will force some interesting decisions on the fast push team. Baron Nashor has always been intended to be the siege-breaker; the ultimate answer to a team turtling and refusing to die. It achieves this goal but also, somewhat paradoxically, hands out a bunch of siege-resistance stats (regen) and has always felt somewhat lacking in terms of visceral impact. To really level up Barons reward (to go with his shiny new model), we trimmed some of the power that wasn’t really contributing to his purpose, and added that power back in a way that drives home the fact that Baron Nashor is the ultimate stall-smasher. Empowered Recall: Champions Exalted with Baron Nashor now Recall much more quickly. This should allow for a very quick regroup when needed and also allow for some interesting risky plays since hiding and getting out is easier. Empowered Minions: Minions near Champions that are Exalted are now enhanced with Baron’s power. Melee minions become much tankier, Caster minions deal more damage and Cannon minions get significantly increased range. Pushing recklessly with Baron will now be more risky because the massive regen is absent, but cohesive efforts to crack an enemy team, by any number of means, should now be more rewarding. In the end, our hope is that by creating uniquely incomparable rewards for different objectives, we’ll be able to promote strategic diversity by differentiating each game based on the accomplishments therein. A team who controls map objectives and wins by mounting pressure should see victory in a different way than a team who, for example, fast-pushes their way to a win. As with all of our preseason changes we expect to iterate quite a bit. Things may change between now and when the changes go live, and they will almost certainly change as players show us the exciting ways these new powers can be put to use!" Here's Riot Ypherion with a heads up on a Preseason Q&A the team is hosting tomorrow! "The team behind the Preseason 2015 changes heads to the boards to talk everything from scuttle crabs to smiting champions. If you're wondering how the new jungle items work, or what's up with Warmogs, stop by the Preseason Q&A in the boards on November 5, 2014 at 2:00 PM PST." 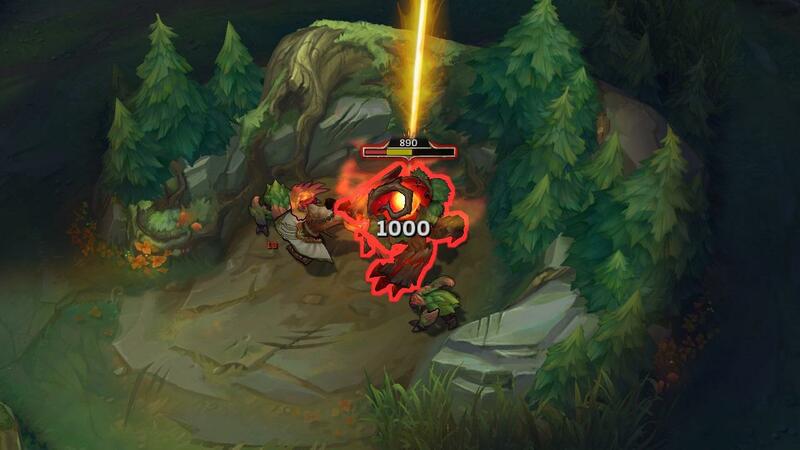 Looking for more on the upcoming Preseason 2015 changes?